Details: Embroidered Reading FC badge and Puma logo. 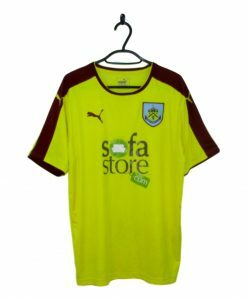 Sponsor felt. 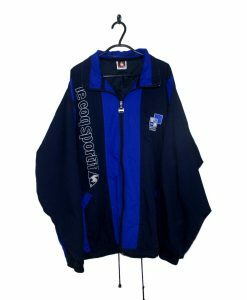 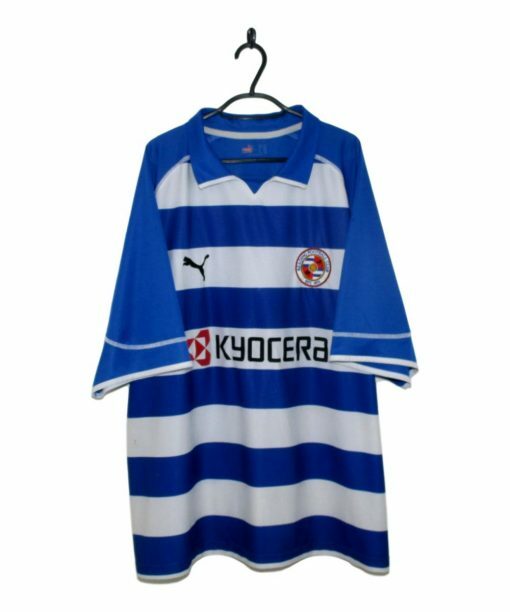 The 2005-06 Reading Home Shirt made by Puma is made up of blue and white hoops. 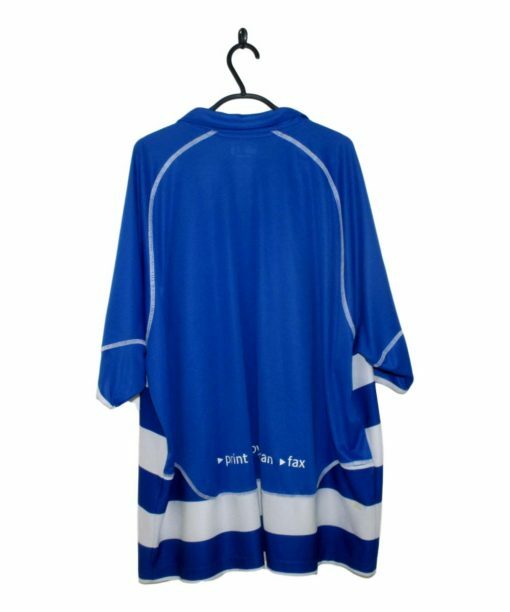 The sleeves are coloured blue with thin white trim on the cuffs. 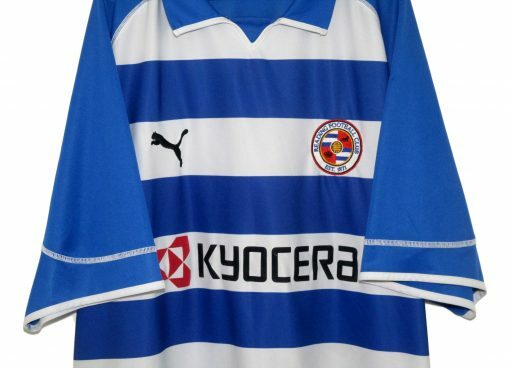 A black Puma logo is placed on the right breast whilst the Reading FC badge is placed on the left breast. 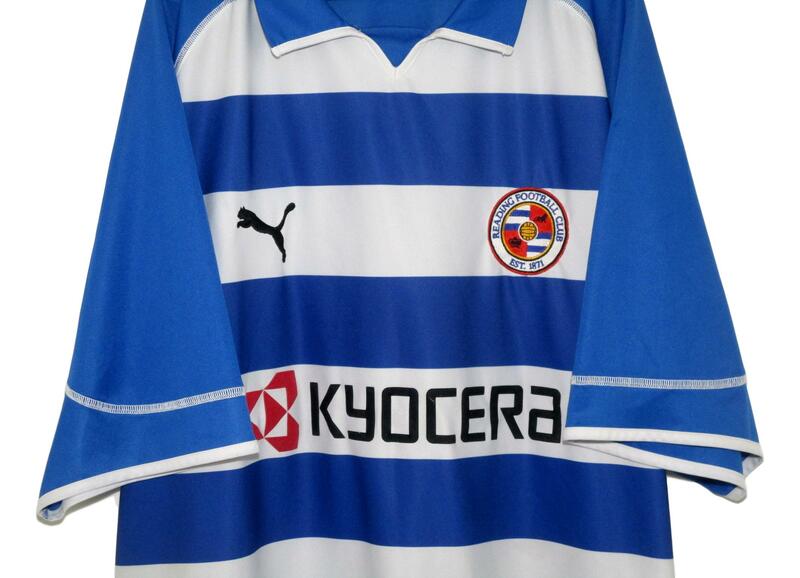 Kyocera have their name in the centre of the football shirt.